Okay, signs are a pretty common thing that people like to make here in blogland. I am so excited that I can pick any font on my computer and make a sign with it. These wide pallet boards are perfect for signs. I usually use the charcoal method to transfer my sayings that I print off of the computer. That is where I print off my saying. Color on the back of the lettering with a charcoal pencil. Then I fill it in using my black Paint Marker. I didn't want to only have light colored signs. I wanted some with some dark colored ones too. So I bought a white Paint Marker. The problem with dark paint is that you can't see the charcoal. Color on the back of the lettering with white chalk. I painted the boards with some acrylic paint. I didn't paint all the way to ends of the board,so it looked like the paint had faded or chipped away over time. Coming up with the right saying is a challenge for me. Plus, having the right font that matches that saying can also be a challenge for me. Here are the signs I just painted. I like the look of using two different fonts in one sign. They are not stained in this pic. I am loving the white marker. It was perfect for the look I wanted. 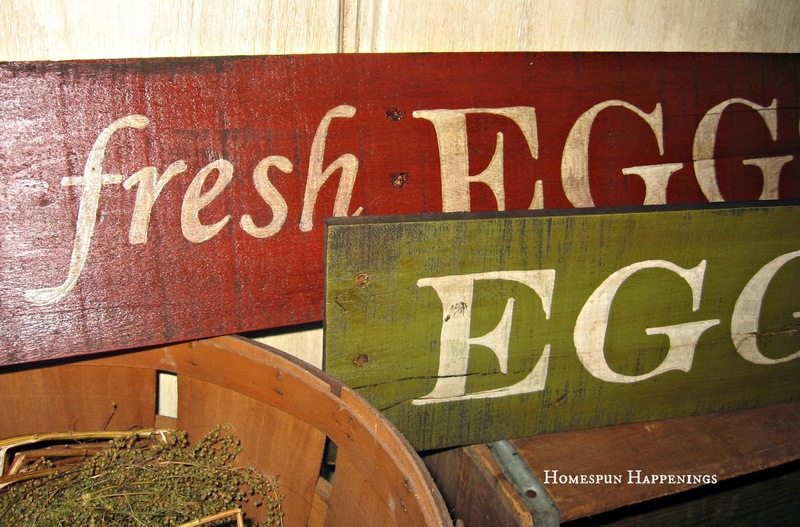 I need one of your egg signs over our hen house door! How cute would that be? And another one in my kitchen....there are always eggs waiting to be washed on the counter! Your signs are wonderful! They are so nicely done. So great!! I love the way they turned out! 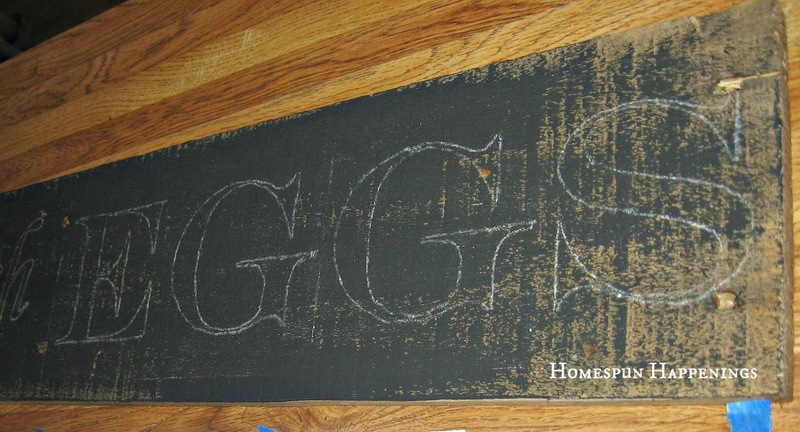 I have used the chalk method before when painting over black chalkboard paint, and I loved it! It opened up a whole new world for lettering! I would love to know what font, if you remember, that you used...I just love the vintage feel of these signs!! That's a fabulous idea! I'm really working on getting some other things done so I can make a sign or two. I'm collecting ideas and this is a keeper. I absolutely love that look! I'll have to see if I can't replicate one of those. They evoke such nostalgia! I hope some of these end up in your Thanksgiving craft sale! I love them...once again, great job Tammy! I always wondered how people painted signs like that. I never would have thought of doing this! Thanks for the info. Love your signs, Tammy! Thanks for sharing your tips! Have a wonderful day! They turned out so cute Tammy! I love the colors of the signs. Oh, Tammy!! These are FABULOUS!!! You're on a roll!!! :) LOVE these!! Those pallets were a gold mine! 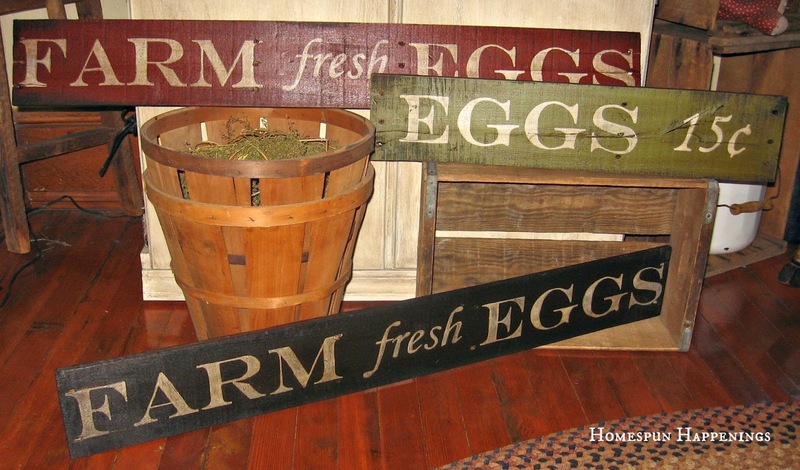 Love these signs - they would look great as a group covering the side of a shed or hanging on a fence. Never transferred using charcoals - I'll have to try it! Love the signs! Thanks so much for sharing at Doodles & Stitches! Oh, I love the signs! Thank you for sharing with us, I have always wondered how you get the wording on the sign. Thanks to you, now I know! Thank you for sharing your DIY project! I am anxious to give it a try! Your signs are fantastic!!! How large was the font you used for your words? I've got a pallet outside I'm dying to use....what size FONT did you use & what is the name of it? Just reading your blog, and came across this post. LOVE these signs!! I can't wait to make some!! 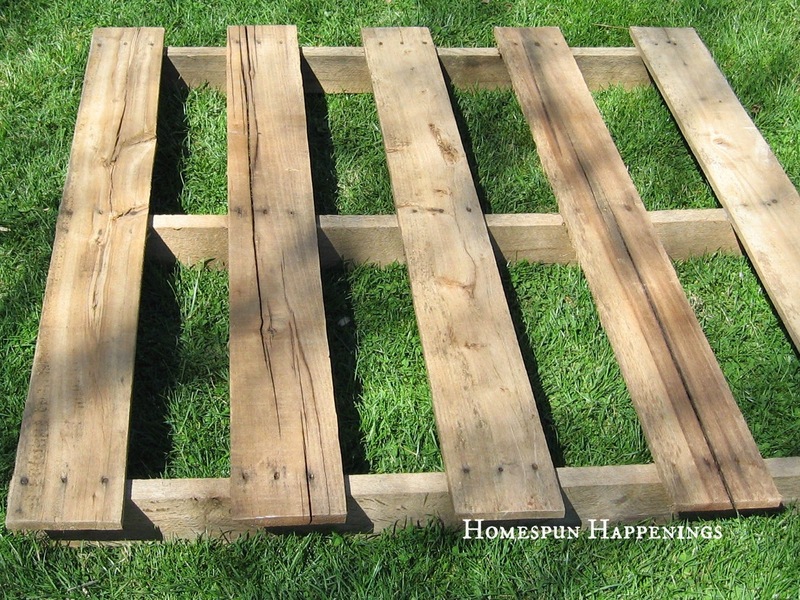 One more thing... Do you sand these pallet boards before you paint on them? where did you get the graphics and what size font did you use. 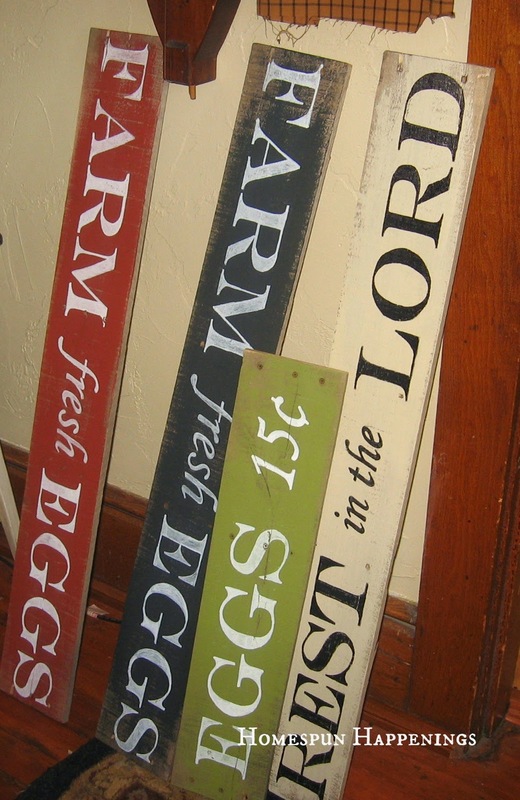 Love all your signs, I just found a pile of barn boards that would be perfect for them. Tammy, you are one clever girl. 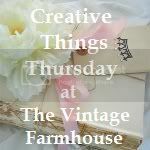 I have often wanted to paint on a black background sign but couldn't figure out how to get the image to transfer. Your chalk idea is genius. LOVE the idea of using the pallets for the signs! This saves TONS of money and REALLY gives it a GREAT old rustic look:) Thanks for sharing! I adore your signs. I have some pallet wood and I'm going to give this a go. I love the colors that you used and the 2 different fonts keep it interesting and fun! :) Your newest follower. I would love for you to follow back if you can! What font did you use on the signs? Love this!